Staff Sgt. 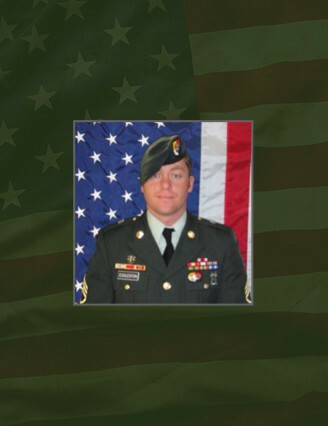 Brandon Forrest Eggleston, 29, of Candler, N.C. died when his mobility platform struck an improvised explosive device during a patrol April 26, 2012 in Ghazni Province, Afghanistan. He was assigned to Company B, 4th Battalion, 3rd Special Forces Group (Airborne), Fort Bragg, N.C. and was deployed in support of Operation ENDURING FREEDOM. This was Staff Sgt. Eggleston’s third deployment in support of Overseas Contingency Operations. He attended West Carolina University and graduated in 2005 with a Bachelor’s degree in Criminal Justice. He enlisted in the U.S. Army in July 2006. Upon completion of basic training and advanced individual training, he attended the Special Forces Assessment and Selection Course. He completed the Special Forces Qualification Course in March 2009 and was assigned to 4th Battalion, 3rd Special Forces Group (Airborne) at Fort Bragg as a SF Communications Sergeant. His military education also includes the U.S. Army Airborne School, Advanced Leaders Course, Warrior Leaders Course, Combatives Course Level 1, Survival, Evasion, Resistance and Escape Course, the Special Forces Qualification Course and the Special Forces Advanced Urban Combat course. Eggleston’s awards and decorations include the Army Good Conduct Medal, National Defense Service Medal, Afghan Campaign Medal with two campaign stars, Global War on Terrorism Expeditionary Medal, Global War on Terrorism Service Medal, Humanitarian Service Medal, Non-commissioned Officer Professional Development Ribbon with numeral 2 device, Army Service Ribbon, NATO Medal, Parachutist Badge, and the Special Forces tab. He will be posthumously awarded the Bronze Star Medal, Meritorious Service Medal, Purple Heart, Afghanistan Campaign Medal with a third campaign star and the Combat Infantry Badge. Eggleston is survived by his wife and their two daughters.